We hear it all the time, right? “This is a really special place.” There’s much that makes this true: our landscapes and access to them, our people and their work ethic, our education and healthcare systems, our thriving local economy. Over the last two decades, my wife and I have had the opportunity to live – literally – almost everywhere. From our perspective, there’s one thing that sets Bozeman and the Gallatin Valley apart, again and again: a wide-spread commitment to community, with generosity to back it up. There are so many examples of mind blowing philanthropy leading to incredible impacts, with Give Big Gallatin Valley, the Trust for Public Lands’ Story Mill Park project and local giving to MSU’s What it Takes Campaign serving as just three that come immediately to mind. Organizations that thrive seem typically to have built a foundation of trust with their supporters that endures. Much like the values and work ethic that defines many Montanans, that trust comes slowly over time based on listening, inclusive planning, clear commitments and then delivering on promises made. In the case of Bozeman Health, for more than a century, when our board members, leadership volunteers and staff members have committed to deliver on a big, bold plan and invited donors to join us in bringing that plan to life, we’ve delivered…every time. 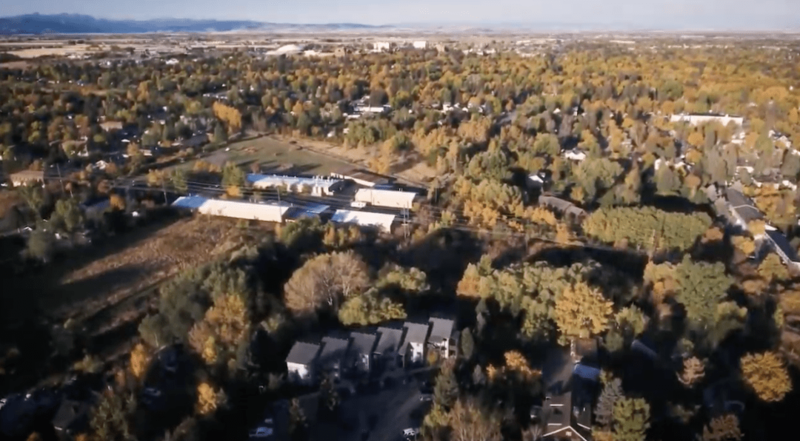 For more than a century, Bozeman Health has served our region as an independent, locally governed hospital and health system with a deep commitment to meeting the needs of the vulnerable in our communities. In an era of increasingly frequent healthcare mergers and consolidations, our success in maintaining our independence has helped us remain connected to our patients and their families, nimble in adapting to meet their needs and entrepreneurial in our approach to building an even brighter future. This combination of local connectivity and an innovative spirit has inspired donors to join us in reaching further than ever before. Together, many of our community’s leading not-for-profit organizations have proudly raised millions of dollars in charitable support for “bricks and mortar” priorities through traditional capital campaigns. Over these past two and a half years, though, we’ve learned that offering our potential donors choices can be extremely powerful. On the heels of our own successes raising funds for the new Emergency Department and our expanded Cancer Center, we took a risk when launching Caring Forward, with four priorities at its heart: 1) enhancing critical and intensive care, 2) expanding community outreach programs, 3) enabling innovation and excellence in cancer and cardiac care and 4) growing Big Sky Medical Center. What we’ve found is that, without question, our donors have valued the ability to support the priority of their choosing, often making larger gifts than would otherwise have been the case. As we look to the future, donor-centricity will remain core to our strategy. Bozeman, the Gallatin Valley, Southwest Montana… this place we call home is remarkable in too many ways to count. While we should never take what we have and enjoy for granted, I’m optimistic that the same community spirit that drives so much philanthropy today will drive great decision-making and thoughtful progress for decades to come. My day job has me leading and serving with just one of many wonderful organizations, but my personal calling and the calling of Bozeman Health more broadly is to help raise the tide for others as well. Here’s to generosity and all its many positive outcomes. Jason Smith is Chief Advancement Officer for Bozeman Health, leading their independent foundation, communications and community engagement programs. Prior to returning to the Gallatin Valley in 2012, he travelled the country and world with the Red Cross. He’s an inspired Bobcat who married a Bozeman girl way back in 1993. Now, he and Karen have two happy youngsters at Irving Elementary School, an ill-behaved pug and two pound kitties. Jason is also president elect of Bozeman Sunrise Rotary Club and a national advisory board member of Iqra Fund. What's Your Beef? You’re So Brave!